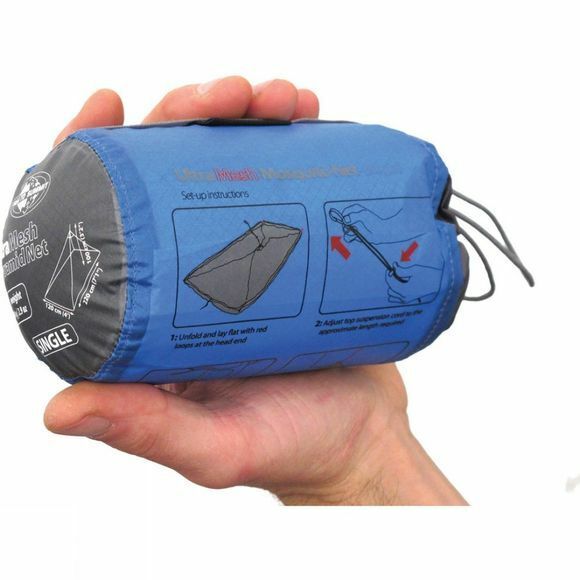 The Single Nano Pyramid Mosquito Net maximises coverage with minimal weight and pack size. They are 60% lighter and half the bulk of Sea To Summit standard pyramid nets. 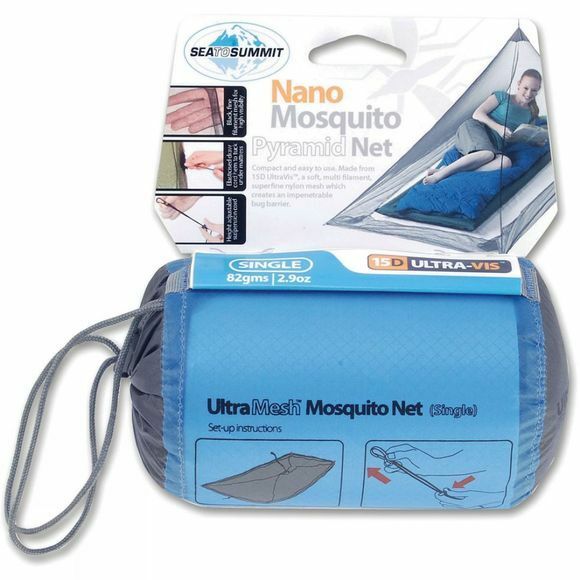 These nets utilise an elasticated hanging cord and elasticated drawcord hem to help keep it under your mattress. The 15D Ultra-Vis mesh makes for a very lightweight net with great visibility and airflow.